Why won't Telephone Numbers Show Up In My New Orders? 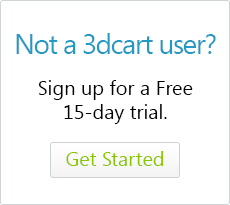 If you are experiencing an issue with New Orders not showing up with a phone number, this is not related to the 3dcart checkout process. It is more than likely related to a setting in PayPal that requires the phone number. Below are instructions on how to to change this setting to get the proper information back into your orders. Under Contact Telephone Number, set it to "On (Required Field)"
If you have any further questions or concerns, contact technical support. More information on this PayPal Phone number requirement can be found here.